Editors Note; updated January 5, 2018: While Amazon has released no official statement on this CNBC report, I did hear from a senior Amazon executive in the Alexa business unit over social media. His comment to my post states: “I can confirm that we have no plans to add advertisements.” That appears to be a flat out denial of the CNBC report, but leaves open the possibility that Amazon did have conversations with brands and potentially ran some initial trials. Voicebot will continue to monitor updates to this story. The e-tailer has been in talks with several companies about letting them promote products on the best-selling Echo devices…Some of the early discussions have centered on whether companies would pay for higher placement if a user searches for a product such as shampoo on the device, similar to how paid searches work in Google…With Alexa’s clout anticipated to rise, brands are worried about being left out of the voice-shopping platform entirely. Amazon Alexa suddenly has tremendous consumer reach with tens of millions of devices that offer in-home audience access to advertisers in use cases that are likely to induce trial or purchase. Everyone assumes that Amazon will monetize Alexa through product sales and Google will focus on advertising. No. Amazon will do both. Google will attempt to do both. It will change the rules of voice search giving pay-to-play promotion an edge over organic discovery (Voice SEO) in an environment that will only produce one or two responses to a query. Amazon is already testing different types of promotional formats such as suggesting a brand name without forcing the issue. Earlier ad testing by Voicelabs demonstrated ad formats that work well in the Alexa environment and were generally accepted by users. Amazon restricts its third-party developers from advertising through Alexa unless they are media companies with an existing ad model or the Alexa skill explicitly promotes a specific product. You should not expect ad formats to resemble the 15, 30 and 60 second spots common on linear media such as television and radio. CNBC reports about a current ad placement that isn’t an interruption but merely a brief suggestion. The prompt at least builds brand awareness and recall for Colgate. It may lead to a higher conversion rate for purchase. It could also lead to more interactions that take the consumer into a custom branded experience in an Alexa skill. A new platform with different interaction modes will present new constraints and opportunities for ad formats. Amazon’s large Alexa user base could provide another advantage; the ability to rapidly test and optimize ad formats for the voice assistant user environment. Amazon is keen to get more brand involvement on Alexa. It’s first attempt was to encourage brands to build custom Alexa skills and the company continues outreach both directly and through agencies that serve big brands. The formula is simple. Get as much content developed for Alexa as possible in hopes that it will be broad enough that consumers will have less frequent need to access the web where they are outside of Amazonland. The advertising angle is another way to get brands involved. It can generate revenue for Amazon though ad sales, increase product sales through Amazon.com or Amazon Pay, and create a new incentive for brands to build an Alexa skill that enables consumer engagement beyond the ad. This will generally be viewed as a win-win scenario. Facebook and Google dominate online advertising on both desktop and mobile. Given their scale advantages, it will be hard for anyone to displace them in the near term. However, voice assistants introduce a new consumer interface where Facebook and Google don’t have the market all locked up. Amazon’s early mover advantage and rapidly expanding device ecosystem could help it become the advertising powerhouse for the next technology platform. Amazon doesn’t have Google’s knowledge graph, but it does have the web’s most comprehensive commerce graph. That data about products and purchasing habits along with Amazon’s online merchandising dominance will set Amazon apart when consumer brands are looking to grow their voice commerce transactions. When advertising comes to the platforms, there will no doubt be complaints about ruining the user experience. 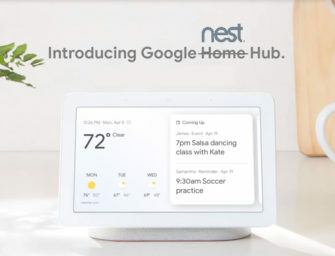 Google offered an objective case study when it served an ad to Google Home users about a Disney movie in March 2017. The consumer reaction was swift and negative. Google quickly pulled the ad and talked about it only as an experiment. Don’t expect Amazon to be so quick to retreat. When it moves into advertising, Amazon will do so unapologetically and stress the benefits to the user. My guess is that users will hardly notice, complaints will be few and a new normal will be established.